White triangles on a blue background in the corners of the screen.Network of Light Particles Connected with Glowing Lines . 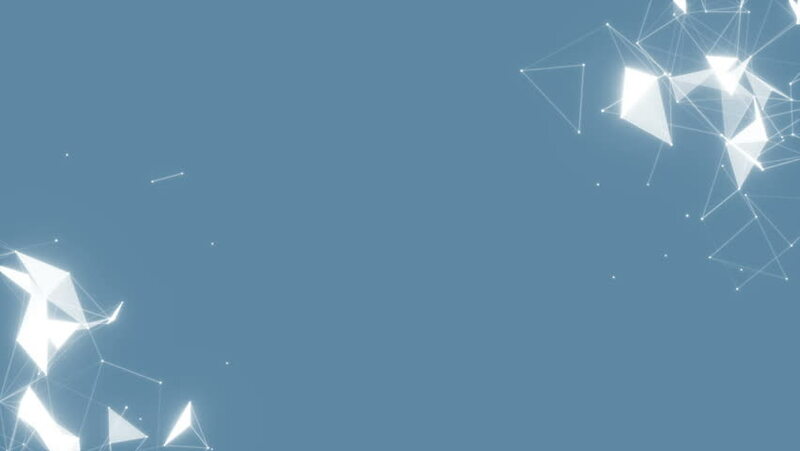 Seamless Looping Animated Motion Background. hd00:15Holographic networks in the corners of the screen.Abstract network connection background. Technology and Connectivity Concept. Molecule And Communication Background. Seamless loop. hd00:15White flashing threads in the corner of the screen.Beautiful 3d animation of the Global Digital Network Growing with Numbers Flying. Business Concept. Looped. HD 1080.
hd00:15Network in the corners of the screen.Abstract network connection background. Technology and Connectivity Concept. Molecule And Communication Background. Seamless loop.